Leif Kaldor is a writer, director and producer of award-winning television and cross-platform projects. His visual sense and clarity of narrative are demonstrated in his directing and in shepherding projects from concept to final delivery. In addition to his television awards Leif is a Juno award winning music producer and a Gemini award winning multimedia producer, with broad experience across the intersecting technologies of music, film and interactive. In 1981 Leif decided motorcycle racing wasn't his final career path so he started his own comuncations technology company. After selling his company he moved into music where he started producing, writing and directing music videos while managing indie record company Coyote Entertainment Group in Toronto. Moving into documentaries in 1998, Mr. Kaldor produced and directed a number of award winning documentaries including In Conversation with Tommy Douglas and the Yorkton Short Film Festival Jury Award-winning one-hour documentary Black Tuesday. He directed the half hour drama Victims, and two episodes of a convergent series Edible Shorts. In 2007 Leif directed Big Business, Big Union, Small Town about the international struggle to unionize Wal-Mart. The one-hour documentary airs on Global Television as part of the Global Currents documentary series. 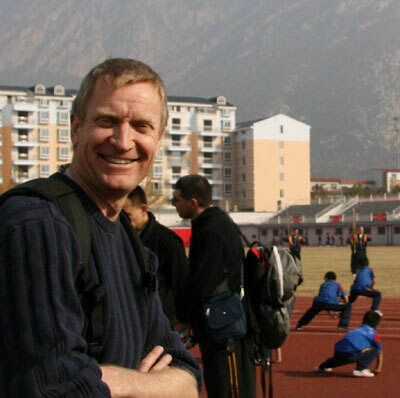 Leif co-directed, co-wrote and co-produced the documentary The Path to Shaolin, shot in Canada and China. Leif directed the one hour documentary Operation Extreme Green for CBC's Passionate Eye in 2010. He shot the three day three-part pilot for Weekend Wonder with three cameras and sound crew, the award-winning one hour documentary Remote Control War for CBC's Doc Zone, MS Wars for The Nature of Things, and Shattered Ground, a one hour documentary that digs under the surface to find the real issues in the controversial technology of fracking. He co-wrote and directed Age of the Drone for CBC's Doc Zone, distributed worldwide by PBS International, and co produced/wrote/directed and second camera on The Prairie Diner, a 13 part food series airing its third season on CityTV Saskatchewan. Lately Leif co-wrote/directed/produced the feature documentary Losing Our Religion, for release in 2018.